This exercise adds the challenge of maintaining the midline while rotating the spine and engaging the external rotators. To do this exercise you will need a mat and a magic circle. Start by reaching your toes through the magic circle and then placing the magic circle on the side of your thighs just above your knees. Then lay on your back with your knees bent and your feet planted on the ground. 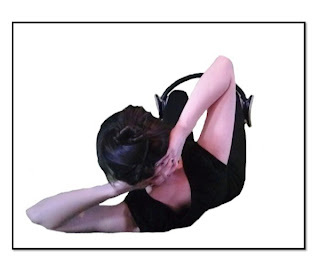 Inhale into the back of your ribcage and exhale as you press out on the magic circle and curl your spine to reach your right elbow, shoulder, and ribs toward your left knee, thigh, and hip. Inhale to return to the beginning and exhale as you repeat on the other side. Continue alternating sides and repeat 8-10 times. The pelvis is quite challenged in this exercise. There will be a tendency to press out on one side of the magic circle more than the other. Be sure to have equal pressure through both legs, which will keep the pelvis from moving from side to side. It is also important to keep the pelvis from rocking toward the belly button or tailbone. 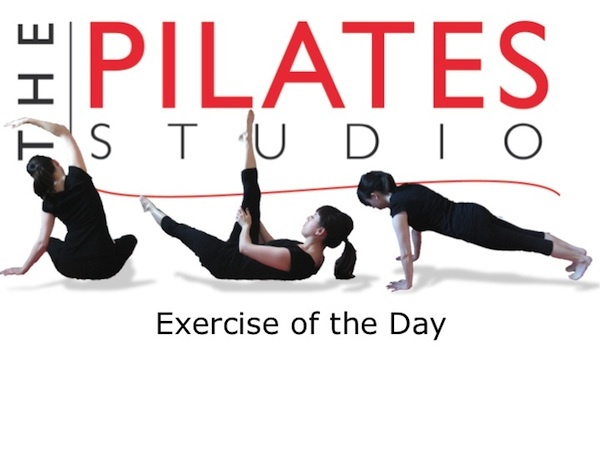 Be sure that your legs are moving while the pelvis is stable!